MANILA (Mindanao Examiner / Oct. 19, 2011) - Senator Franklin Drilon said state agencies with overlapping mandates will be reviewed by the Governance Commission for Government-owned or controlled Corporations (GCG) as he calls for a continuing effort to put an end to the bleeding of state coffers in the light of the government’s tight fiscal position. Drilon particularly cited the Southern Philippines Development Authority (SPDA), which has been existing for several years but has failed to produce any substantial progress in achieving development goals in Mindanao despite being subsidized by the national government. 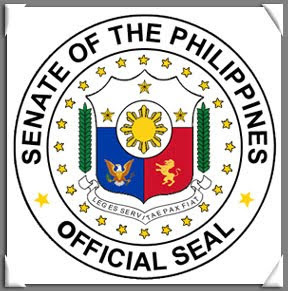 “There is every reason for us to have created the Governance Council for GOCCs in order that they can look with great detail on your operations,” Drilon, chairman of the Senate Finance Committee, told SPDA officials during a recent budget hearing, pointing out a glaring “duplication” with other agencies involved in Mindanao development and peace process. Drilon, principal author of Republic Act 10149 or the GOCC Governance Act of 2011, said that several departments and agencies are separately involved in peace and development efforts such as the National Economic and Development Authority, Autonomous Region in Muslim Mindanao, Mindanao Development Authority, Office of the Presidential Adviser on the Peace Process, Social Welfare Department and local government units. The body, which has yet to finalize its composition, shall be composed of five members—chairman with the rank of Cabinet secretary and two members with the rank of undersecretary to be appointed by the President—and the Budget and Finance secretaries as ex-officio members. Drilon noted that for this year, the SPDA expects revenues of only P183,000 or a rate of 1.5% from the P13.4 million investment in fishponds. The SPDA is engaged in a P12.8-million reforestation project involving 200,000 hectares in Kabalukan, Maguindanao, which started in 2009 and is to be completed in 2014. Aside from that, the agency is developing about 26,000 hectares of property which started in the 1970s to help rebel returnees in Mindanao, but the project never prospered. “It is bad enough that we can see that the projects that have been there for decades still are not making enough income to support your operations,” Drilon said. For next year, SPDA is proposing a budget of P59 million to support its operations. “You are a GOCC. You are not supposed to continuously burden the national budget with subsidy because you are supposed to be operating the assets belonging to the people and for which you are supposed to derive profit and support your operations,” Drilon told SPDA officials. Of the requested state subsidy, about P38 million is allotted to feasibility studies of locally-funded projects such as commercial complex, creation of the Mindanao special economic zone, and business centers. “The committee is not inclined to further burden the budget with subsidies for feasibility studies. If you wish to conduct a feasibility study, source it out of your corporate funds,” he said. The SPDA, created through Presidential Decree No. 690 during the Marcos administration, was deactivated in 2002. It was engaged in various development projects involving conflict-affected areas and communities. But Executive Order No. 560 issued by former President Gloria Arroyo reactivated the agency in 2006 in order to pursue development efforts in Mindanao in the light of the 1996 peace pact between the government and the Moro National Liberation Front. “Unless we check, these are the things which have the tendency to mushroom all over the place,” Drilon said. Last month, officials of credit rating agencies attending the International Monetary Fund and World Bank meeting held in Washington, DC cited the Philippine government’s effort in passing the GOCC Governance Act, highlighting the Aquino administration’s anti-corruption efforts.